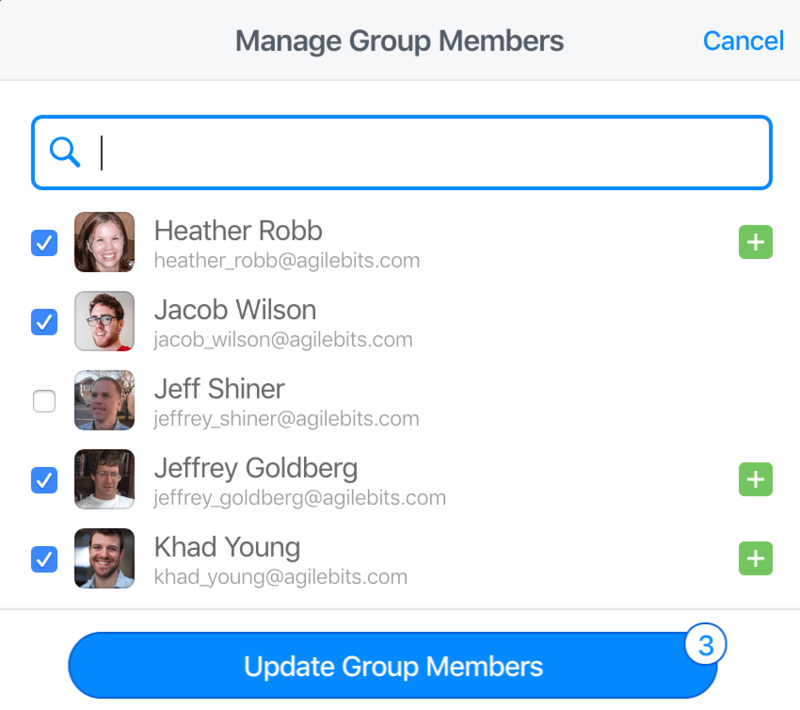 With 1Password Business, custom groups make it easy to manage your team by project, department, or location. Learn how to manage group members and the vaults they have access to. Grant team-level permissions to groups, like the ability to recover accounts or invite people to the team. 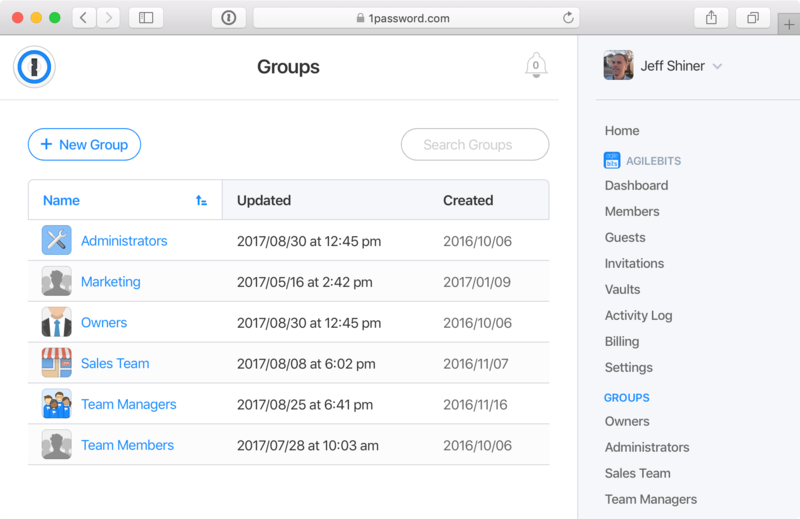 Sign in to your account on 1Password.com and click Groups in the sidebar to get started. To create a group, click New Group and give your group a name. You can also give your group a description and an icon. When you’re done, click Create Group. 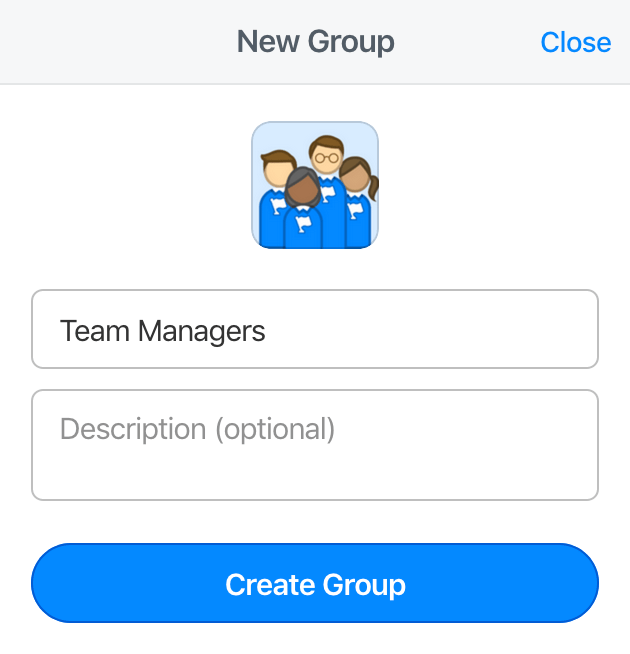 You’re the group manager, and can now manage group members, vaults, and permissions. To add people to a group, click Manage in the People section. Select the team members to add, then click Update Group Members. To promote them to group manager, choose Manager. To remove them from the group, choose Remove from Group. Team members can belong to multiple groups, and there is no limit to the size of a group. You can give everyone in a group access to specific vaults and assign vault permissions, like the ability to create and remove items from the vault. To add or remove group access to a vault, click Manage in the Vaults section. Select or deselect vaults, then click Update Vaults. To change vault permissions for the group, click next to the vault name, then select or deselect permissions from the list. If a team member has vault permissions individually and as part of a group, the most permissive of the two will always be used. Learn more about vault permissions. Group permissions are team-level capabilities you can grant to everyone who is a member of a group. For example, the Recover Accounts permission allows group members to recover accounts for team members who have lost access. To assign group permissions, click Manage in the Permissions section. Select or deselect permissions, then click Update Permissions. 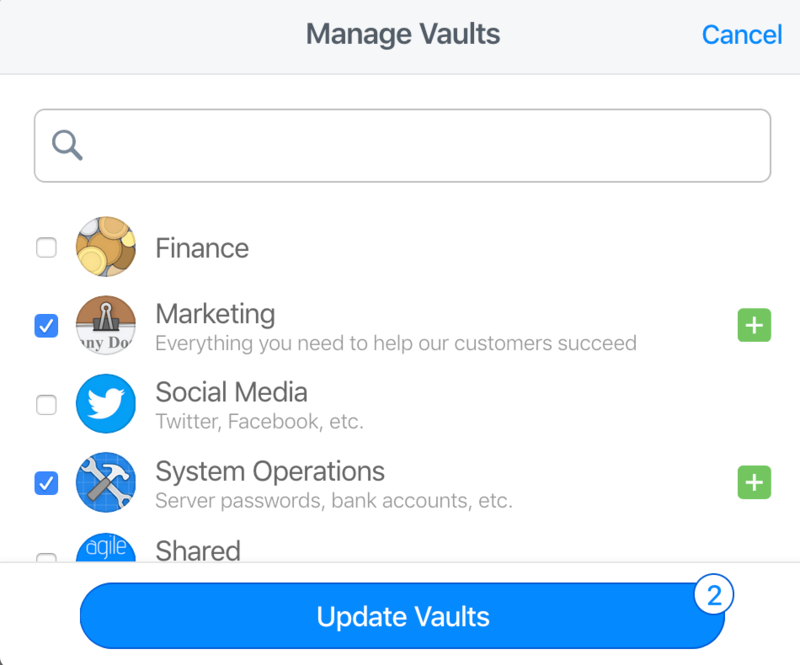 Create vaults to share and manage. View the Dashboard and Activity Log. Create reports and see details about each team member. Recover accounts for team members who have forgotten their Master Password or lost their Secret Key. Edit a team member’s name. Suspend accounts and use Managed Travel Mode. Invite people to the team and delete their accounts. Manage membership, vaults, and permissions for all custom groups. Change team-level settings, like the team name and sign-in address. Manage subscription, add credit cards, and see invoices. Delete the entire team, including all team member accounts and data. * Requires the View Administrative Sidebar permission. ** Requires the View Administrative Sidebar and Manage Settings permisions.